Hunter Shea is at the top of his game! He has become synonymous with horror. I thoroughly enjoy everything that I’ve read by him. I also think that some of his books should be optioned for the big screen. Savage Jungle is the sequel to Loch Ness Monster. That’s right! The McQueen twins are back in action, along with their friend Henrik Kooper. He watched his father get killed by Orang Pendek. He wants to get revenge, so Henrik and the McQueen twins take off in search of the lost city of Gadang Ur in the jungles of Sumatra. They find far more than what they are looking for. I’m talking dinosaurs, rhinos, elephants, and Orang Pendeks. The Pendeks are orange haired ape men who stand upright. All hell breaks loose in Gadang Ur. Will Henrik get his revenge? Will they survive in Gadang Ur? You have to read it to find out! This book is excellent from start to finish! The author eases you into the adventure, but the story quickly accelerates as soon as the McQueens and Henrik get to the jungles of Sumatra. The story unfolds perfectly, and the pacing is executed very well. I enjoyed reading from the different viewpoints of the main characters because it made the book that much more enjoyable. Savage Jungle will hook you from the first page! The ending was great, and the reader will get a peak into what is coming next for the McQueen twins. 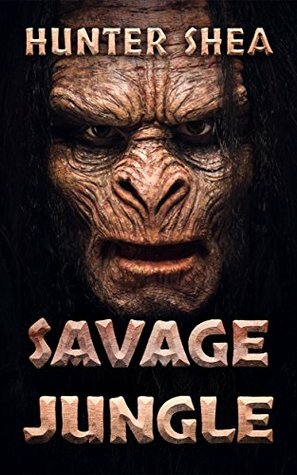 I highly recommend this book to fans of horror and Planet of the Apes!